Just 50 years ago, the Houtou Wan Village—one of the 394 islands known as the Shengsi Islands in China's Yangtze River—was a thriving fishing town. But after the adjacent bay could no longer accommodate the increasing number of vessels, the village was gradually abandoned over the past half a century as residents moved elsewhere. For a few decades now, almost no one has lived in Houtou Wan, leaving nature to take over. 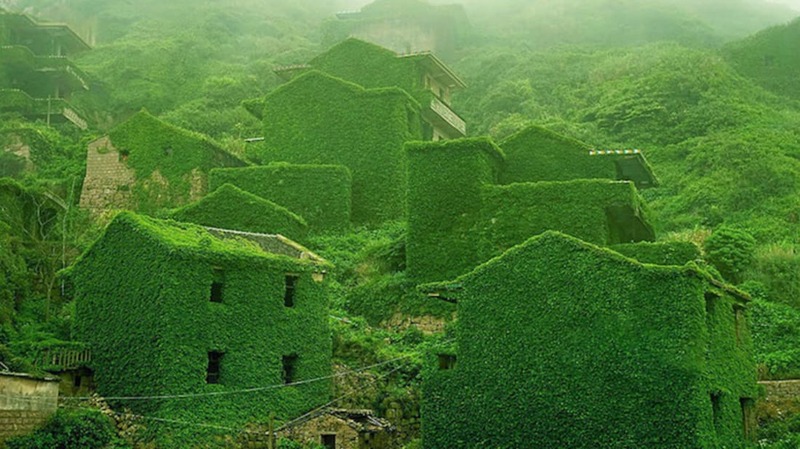 The result is a verdant relic that looks more like a secret garden than an empty ghost town. Ivy covers nearly every inch of what were once homes and businesses, creating a lush scene of dense foliage.